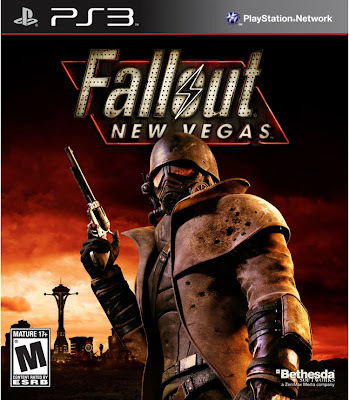 I know Obsidian Entertainment’s Fallout: New Vegas has been a topic of discussion on this blog before (read Mat’s entertaining comparison of this game and Red Dead: Redemption here), but I recently completed the game after roughly 60 hours of blissful wasteland questing and thus feel compelled to add my own thoughts to the discourse. I’d like to address a different comparison, specifically the negative ones made between Fallout 3 and Fallout: New Vegas. It seems only natural to compare the two games to one another as—aside from the fact that they both take place in the post-apocalyptic setting of the Fallout universe—they were both constructed using Bethesda’s Gamebryo engine, so they come across as very similar games. Yet, nearly every opinion that I’ve heard has been a claim that Fallout 3 is clearly superior to its successor. Now, my intention is not in any way to say that the persons who hold these judgments are incorrect. Nay, I delight in the opportunity to engage in a friendly debate with anyone of a different opinion than my own. Nevertheless, I stand by my opinion that Fallout: New Vegas is the better of the two. I’m fully aware of the fact that Fallout: New Vegas was released with an extraordinary number of technical flaws. Having purchased the game several months after its problematic release, however, I experienced a very small number of bugs, and in my mind this puts the games on even footing in terms of technical execution. Fallout 3 - Why hasn't anyone cleaned this up? 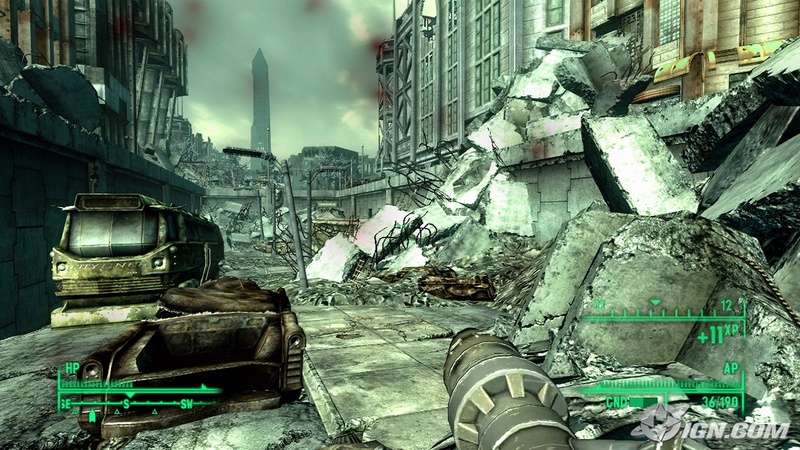 Because these are both such great games, I’m tempted to reduce the comparison to little things like the comparatively unbelievable state of destruction in which the player finds Washington D.C. Would there still be massive piles of smoking rubble in the capital of the nation 200 years after the bombs have fallen? I’m inclined to say no. However, this a minor quip--minor enough that it didn’t even occur to me until recently. For me, it all comes down to the quality of the writing. 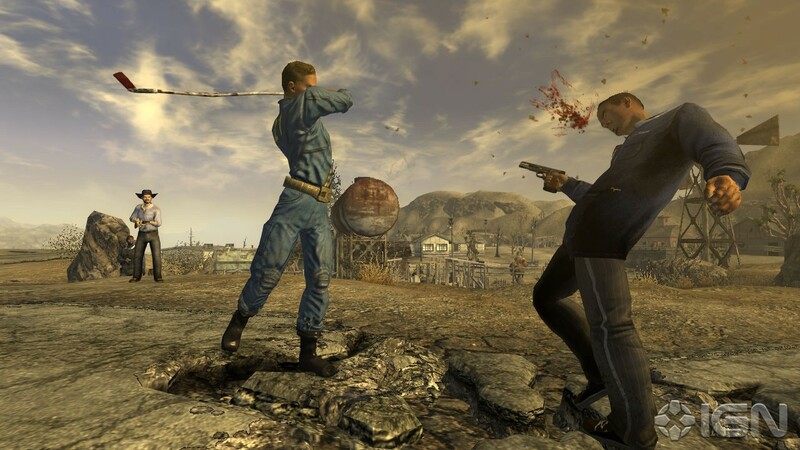 Fallout: New Vegas struck as much of an enjoyable note with me as its predecessor. Yet, the characters, scenarios, and sense of humor that the game presents come together to form a whole that is arguable better than the sum of its parts. I just found it to be narrowly more gratifying. There’s no question, Fallout 3 is an amazingly enjoyable game, but a little piece of me dies every time someone says that New Vegas is not a good game. I contend that it is every bit as worthwhile of an experience as Fallout 3. And now that its technical issues have been patched to oblivion (get it? Oblivion! ), Fallout: New Vegas easily stands alongside the other games in the Fallout franchinse. I just got in to F:NV. I have 3 on the 360, but haven't been able to get into it for some reason, but I'm LOVING F:NV. The voice acting isn't the best, but I'm really liking every other aspect so far. The characters are great!